Wasn't Eric's message this Sunday powerful? 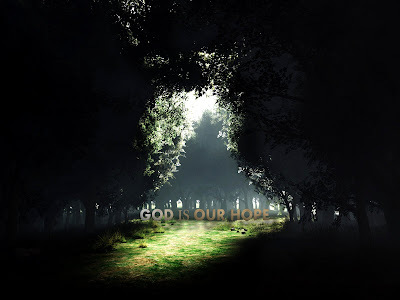 It's so good to be reminded that God really is our hope in these times & always is. I found it very interesting when he mentioned the importance of inviting people into our world so they can see what hope looks like, but also that we shouldn't invite people into our dysfunction. We have to be living a life that shows hope & that believes God is our hope before we try to convince any one else of it. I really believe Eric spoke such truth here! Too many unsaved people are turned away from Jesus & a life of hope because they see the mess & dysfunction of our life - what is coming out of their mouth isn't lining up with the fruit in our life. - we confess God is our hope but we don't live like we believe it. Let's get our lives sorted out by lining it up with what the Bible says & believing what the Bible says. Then we won't even need to open our mouth to win people to Jesus they will simply see & want what we have. Then when they ask we can open our mouth & tell them what we have - God, Our Hope! I will be listening to it on podcast most definately.